Feminist Activist Joan Dunlop died last week at 78, just a week after her legacy of recasting international population control efforts as “reproductive rights” began to unravel. Dunlop was a protégé of John D. Rockefeller, III, who led the charge for international population control. His vision and large fortune established and set the agenda for institutions still at the tip of the spear of global abortion wars, such as the International Planned Parenthood Federation, Population Council, Rockefeller Foundation, and UN Population Fund. Dunlop’s initiative revived the flailing population control movement after its coercive tactics became widely known in the 1970s and 80s. 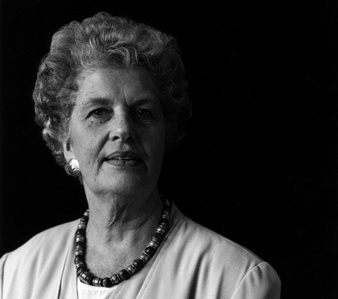 She thus helped shape international abortion debates for almost three decades. But just as she was breathing her last, world leaders were quashing attempts to include “reproductive rights” in an important UN document. The document was negotiated two weeks ago at the UN summit on sustainable development in Rio de Janeiro. Twenty years after unabashedly championing population control at the first Rio summit, delegates decided that the once-convenient narrative of women’s rights was no longer necessary. The term emerged at the 1994 UN conference on population and development in Cairo, a high level, highly controversial meeting at which abortion advocates and some governments tried and failed to gain recognition of abortion as an international human right. Since then, the term “reproductive rights” and other terms such as “reproductive health” have endured because they have served delegates on both sides of the abortion debate. The official Cairo document allows governments to interpret it as including or excluding abortion, according to national law and policy. But in the end, Dunlop’s stratagem is proving its own undoing. Over the last several years high profile figures such as the U.S. Secretary of State have gone on the record insisting reproductive health and rights include abortion. This tipped the scales and gave credulity to pro-life delegates at Rio who called for its rejection. The term was also rendered unnecessary since links between population control advocates and environmentalists are out in the open again. The pro-woman narrative was less useful, and came with too much baggage, namely the abortion controversy. Taking feminists at their word that reproductive rights is not about population control but rather women’s empowerment, delegates announced from the negotiating floor that it had little to do with the “green economy” which was their priority at the Rio summit. The future usefulness of “reproductive rights,” a term and a concept that permeate UN development and rights literature, now seems murky. Just as Dunlop’s legacy fades, billionaire Melinda Gates is taking center stage with her new global family planning campaign. Next week in London, Gates, like Dunlop, will try to convince governments her initiative has no link with population control or abortion. Like Dunlop, Gates says it’s purely about women’s health and rights. And like Dunlop’s career in the same arena demonstrates, the ambiguity that may garner Gate’s success may also cause its failure. from Joan to Hilary to Nancy to Melinda. How tragic that the death of the innocent is their greatest accomplishment.